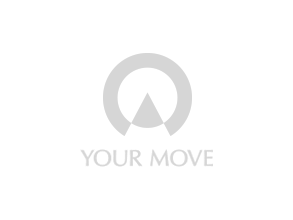 Located in the heart of Hillsborough centre, on Middlewood Road, Your Move offers an extensive range of property services to customers throughout the Sheffield area. The areas we cover are: Hillsborough, Wisewood, Walkley, Crookes, Oughtibridge, Stocksbridge, Deepcar, Bolsterstone, Wharncliffe Side, Worral, Parson Cross, Southey Green, Longley, Fox Hill, Malin Bridge, Wadsley Bridge, Heeley, Meersbrook, Woodseats, Greenhill Norton, Beauchief, Dore, Ecclesall, Totley, Fulwood, Crosspool, Banner Cross, Handsworth, Woodhouse, Fence, Woodhouse Mill, Hackenthorpe, Birley, Frecheville, Intake, Normanton Springs, Beighton, Killamarsh, Pitsmoor, Grimesthorpe, Page Hall, Firth Park, Wincobank, Littledale, Bowdenwood, Stradbroke, The Manor, Woodthorpe, Darnall, Gleadless, Gleadless Valley, Ridgeway. Call today, to see how we can help you!